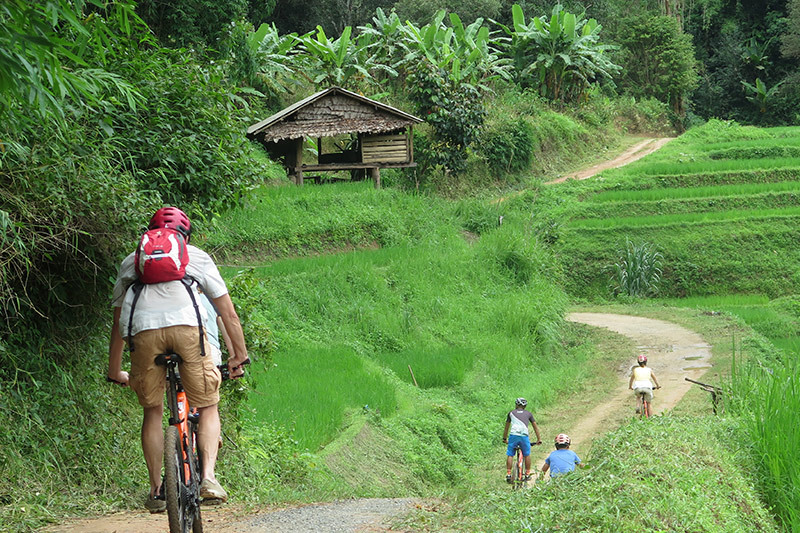 You don’t have to be a regular rider to enjoy one of our cross country cycling tours in Chiang Mai. 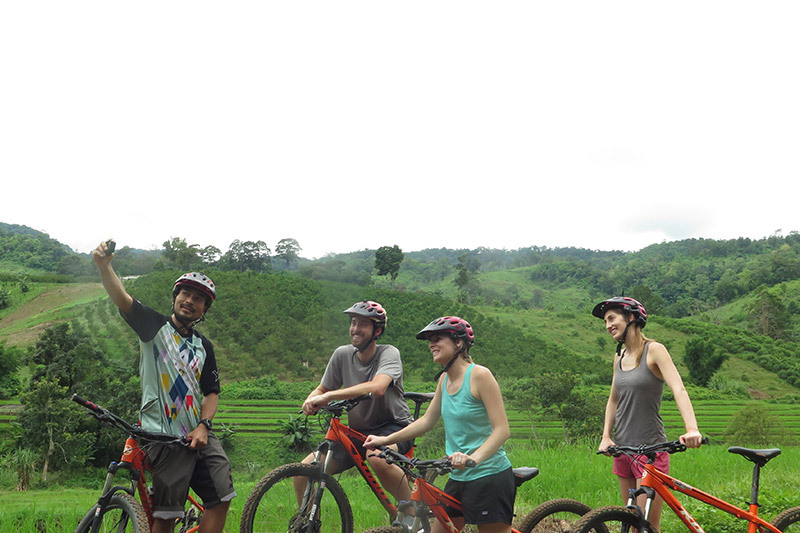 Join us for an easy mountain bike ride through the stunning Chiang Mai countryside in Mae Rim district. 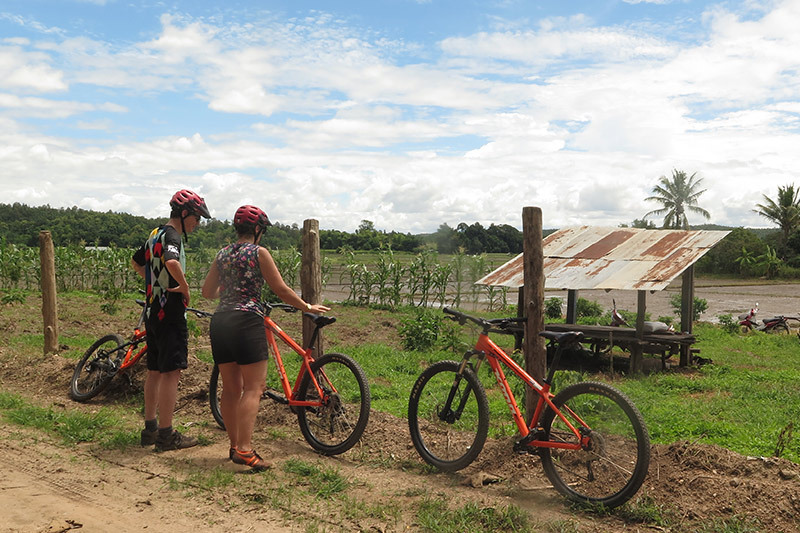 During the Rural Explorer tour you will ride along quiet back roads through the mountain landscape visiting fruit orchards, rice paddies, waterfalls and small villages. 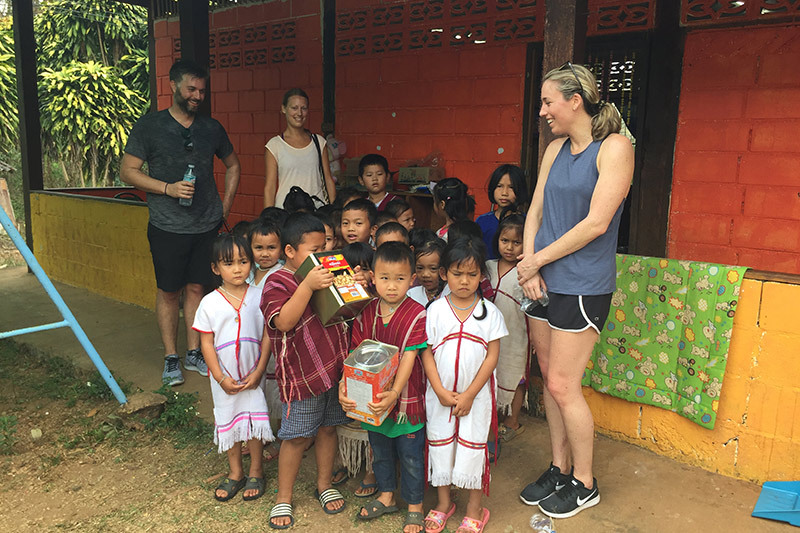 As for all of our cross country cycling tours in Chiang Mai we make lots of stops to learn about daily village life as well as the culture and to enjoy delicious local snacks cycling at a comfortable pace. we decided to do the Rural Explorer. 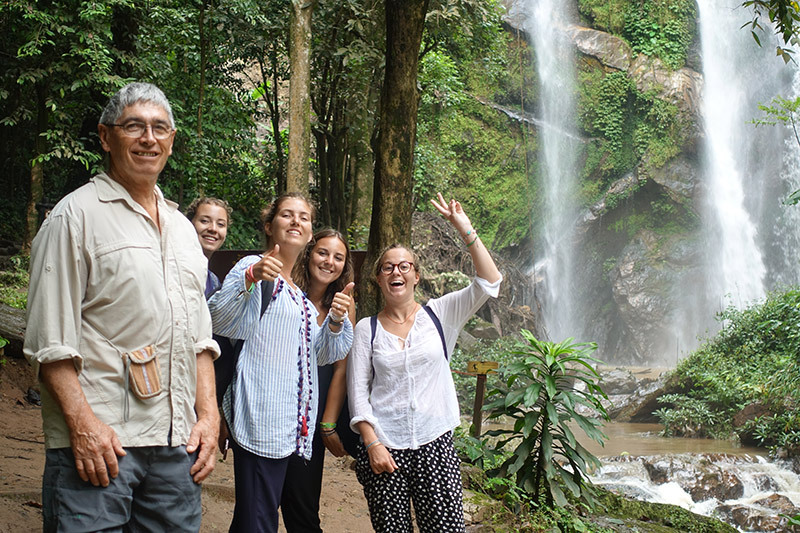 We were astonished of the great tour, the knowledge of the guides, the organisation of the tour, the punctuality and lastly the great value for money. 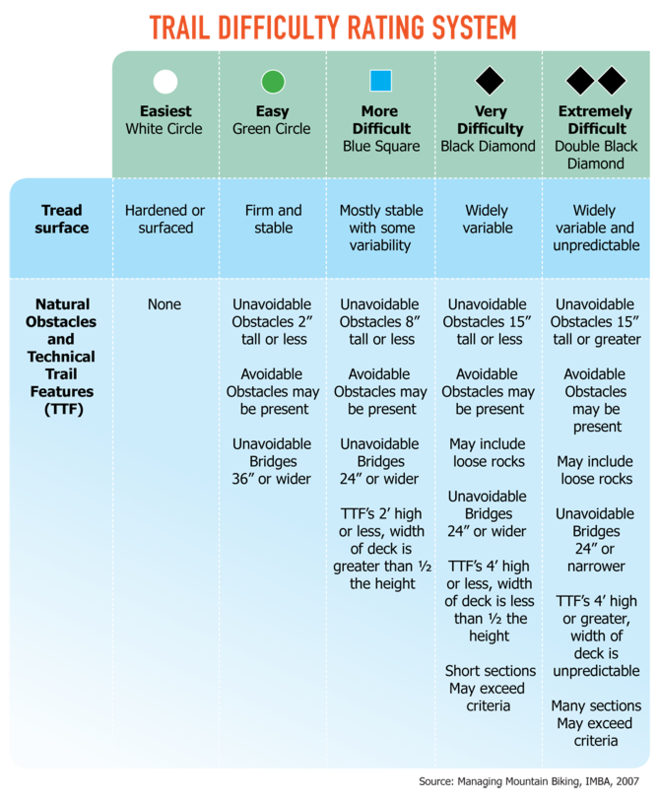 In my opinion I can recommend Trail Head without issues. 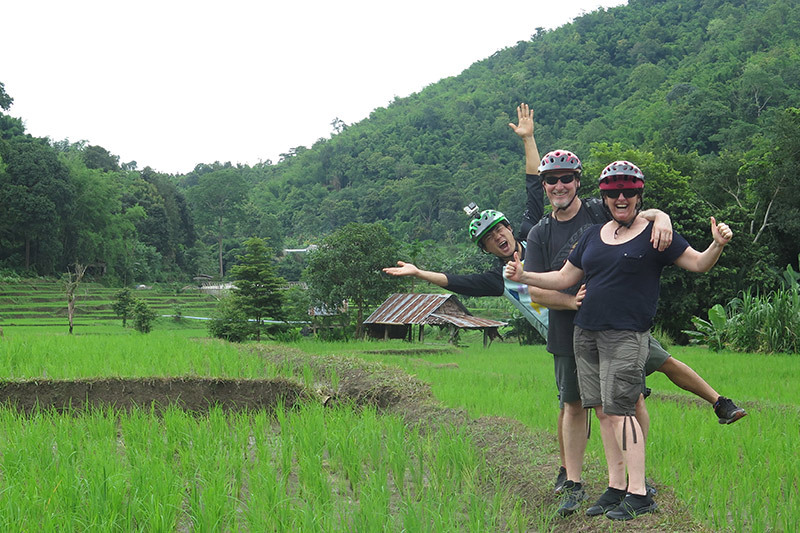 We are four experienced riders looking for a cultural experience and a break from Chaing Mai traffic. 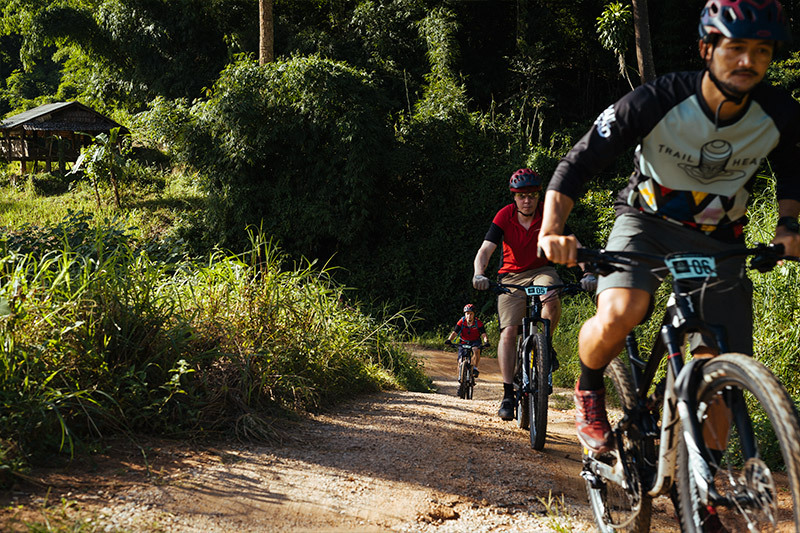 Shop staff and Trailhead guides are enthusiastic cyclists and fun cycling companions. 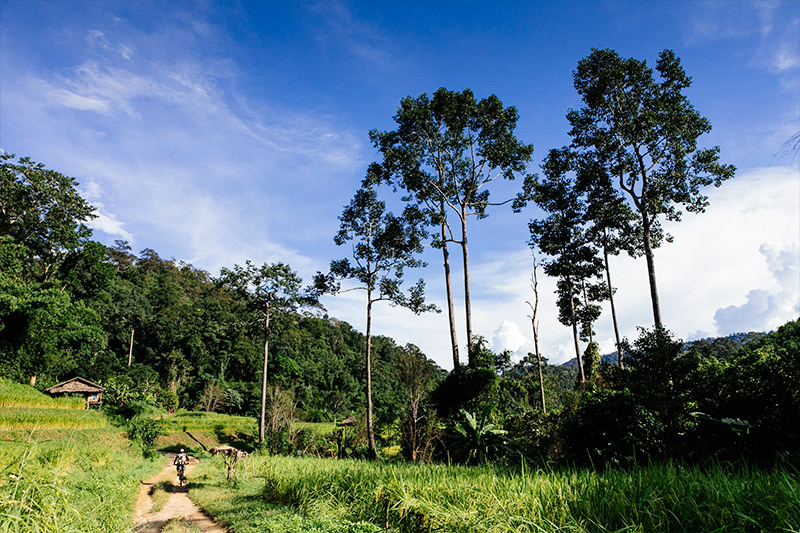 Our ride had a nice variety of short climbs and descents allowing us to enjoy the scenery. Great Kona bikes comfortable transport and lunch were included. If we had more time we would have done another ride with them. Good ride for all levels. We stumbled on a cozy looking cafe on our way to find Grasshopper and book a cycling tour. Well, it turned out to be very lucky since Trailhead offered just the kind of ride we were looking for. 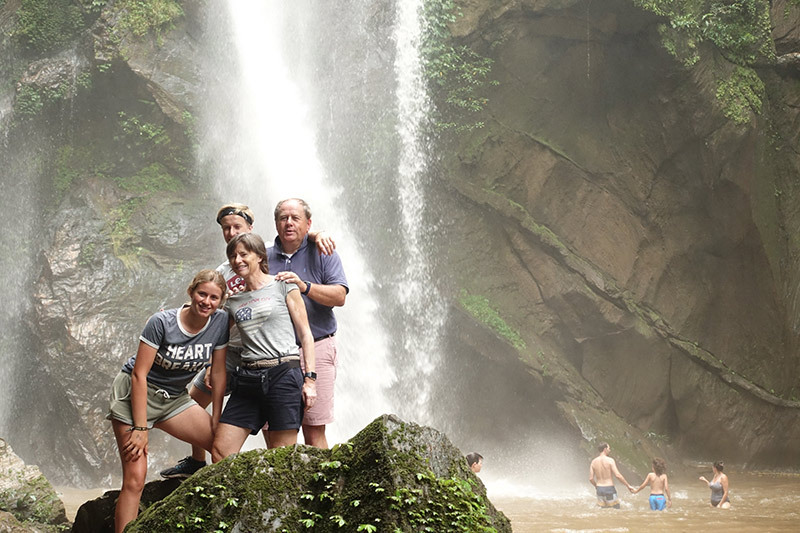 We immediately booked and we were the only ones on our day-trip, a virtually private tour with a guide and driver trailing us with cold water. 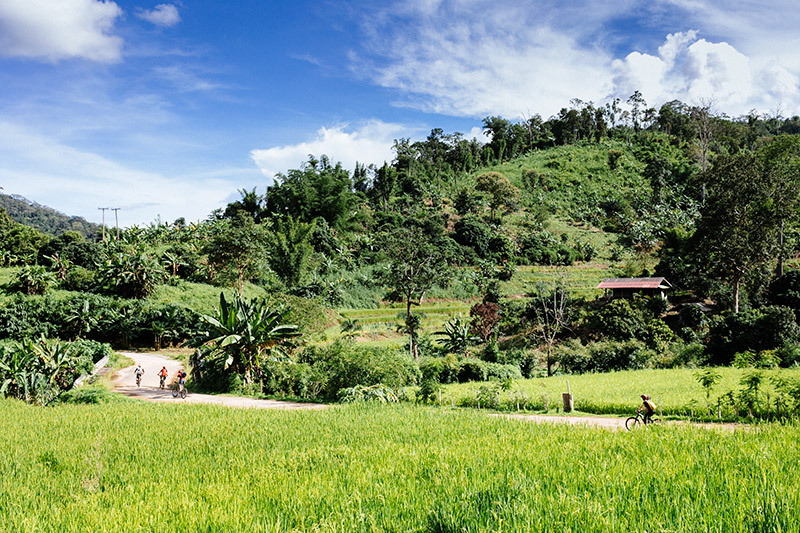 After a little over an hour drive into the jungle-y countryside, we were off on our hybrid bicycles passing through spectacular scenery, farms, rice paddies, coffee plantations and lush gorgeous hills. 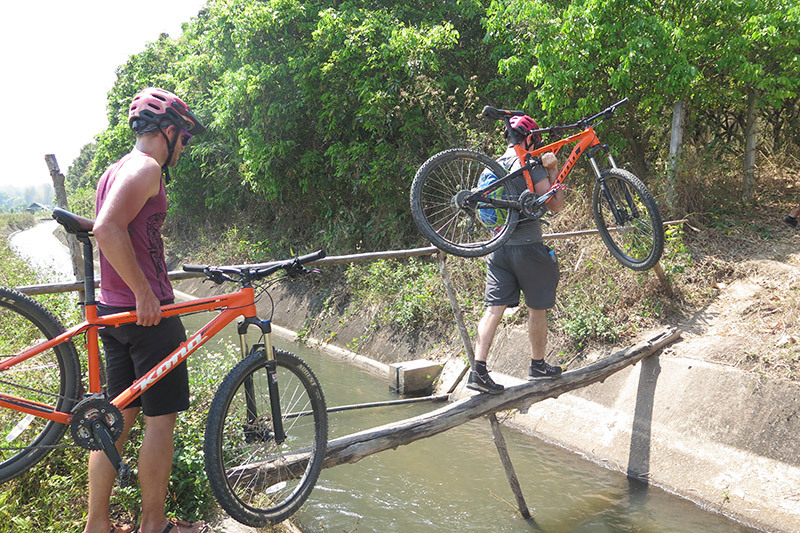 We started with a waterfall visit then rode about 35 km total, not a huge effort but you felt the exercise. Our guide Lek (I think) was wonderful and informative and had fresh coconuts and fried bananas ready for us at the temple where the ride ended. If you are at all hesitant about your ability you should know that while we are fit and bike regularly, my husband and I became the record holders of their oldest riders, he in his 70's and me at 62! Great fun and very personal attention. 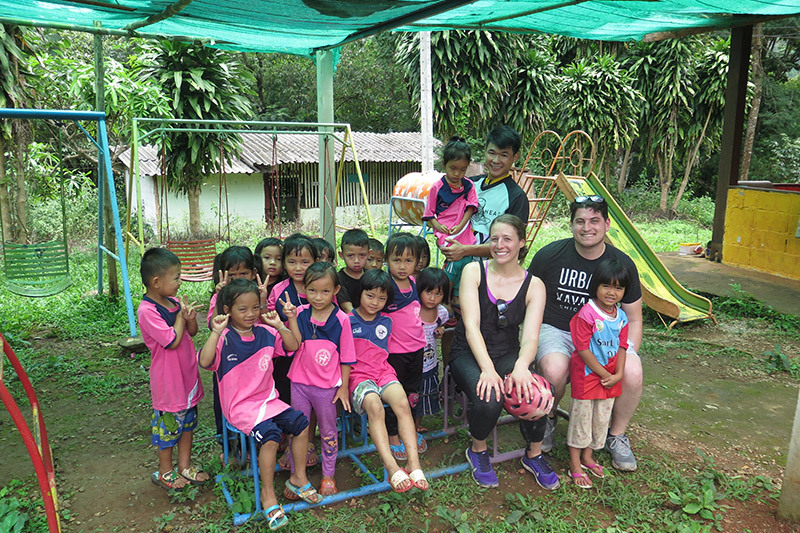 One of the highlight of our trip to Chiang Mai. 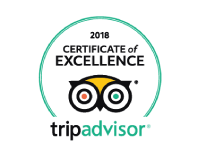 Their service and attitude are top class. 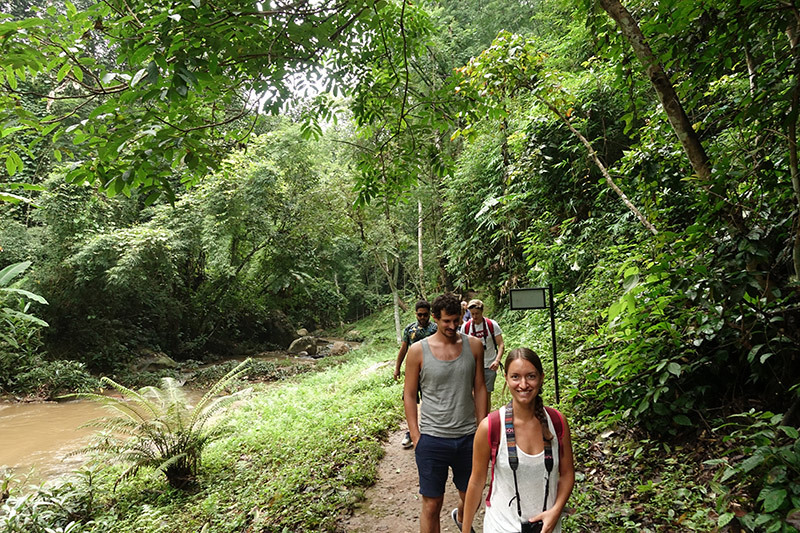 We took 'Rural Explorer' trip and it suit all kind of fitness level. So no worry even if you are new to cycling. 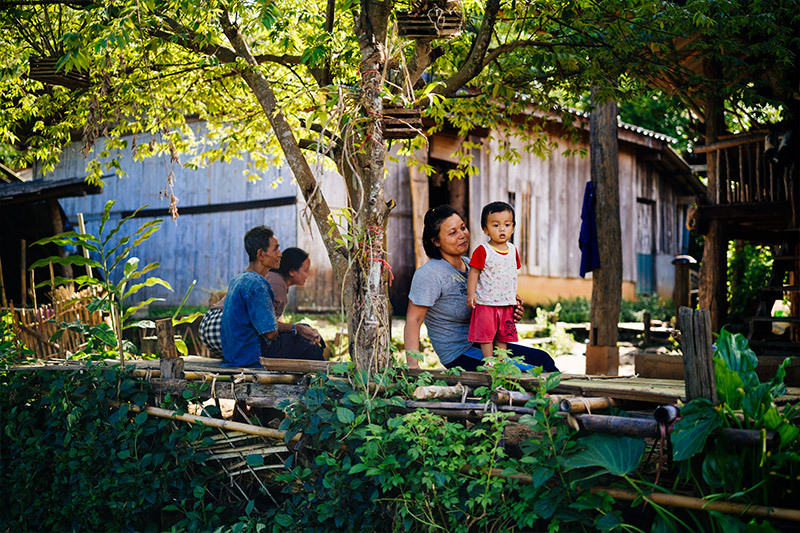 Our tour guide 'KOM' and 'ViVi' are so wonderful and friendly. Will definitely join the trip again whenever we visiting there in the future. We did the rural explorer tour and had an awesome day. Bikes look brand new and the guys take good care of you. 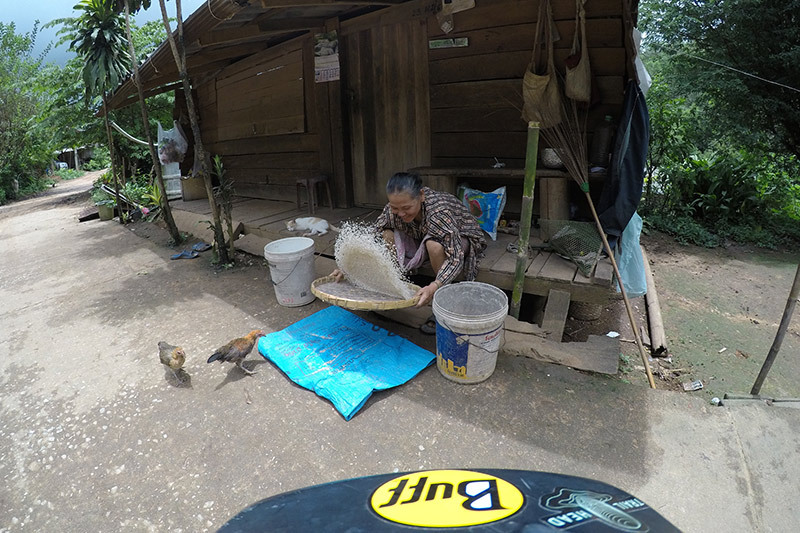 Great route, beautiful nature and Lek (tour guide) has lots of information about your surroundings. It was a little challenging going up hill sometimes, but so much fun. You finish the day with a big meal. 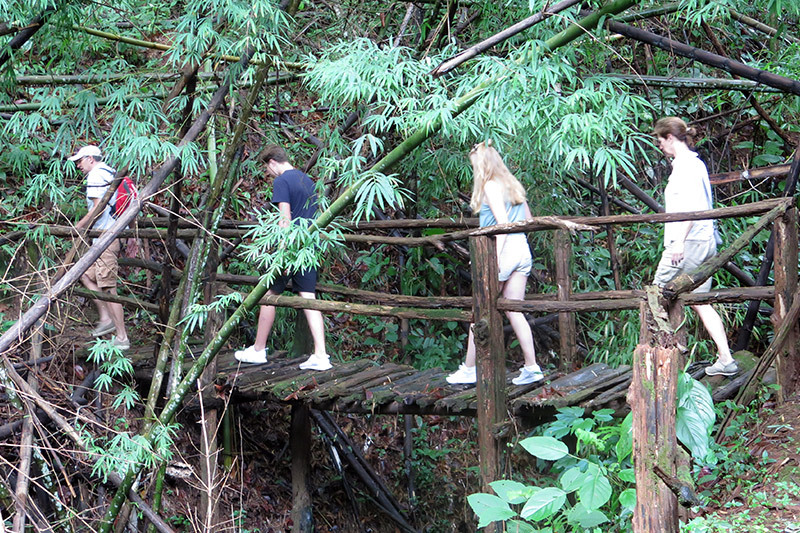 We would 100% recommend doing this while in Chiang Mai.